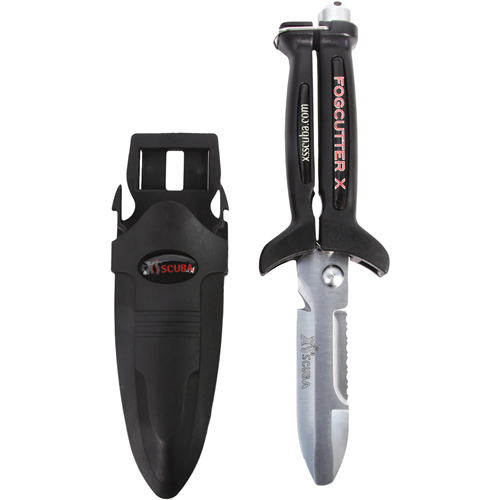 The XS Scuba FogCutter X Knife is a unique Knife and Scissors Designed Divers Tool. 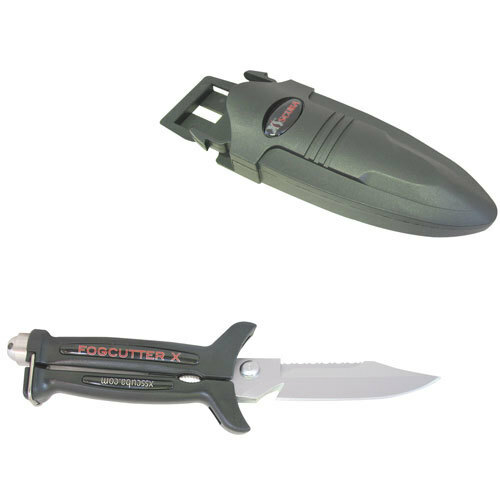 That is the best way to describe XS Scuba's FogCutter X Knife. Knife/Scissors are made of Chromate Treated 420-Stainless Steel, for Exceptional Rust Protection and Superior Durability. The Blade and Scissors will give you Years of Maintenance Free Service. 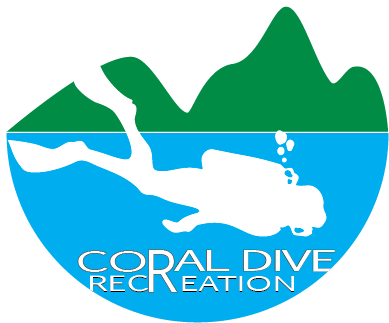 The Divers Tool has an overall length of 9.5" (24.1 cm) with a Blade length of 4.75" (12.1 cm) on the Drop Point version and 4.5" (11.4 cm) on the Blunt Tip version. The Blunt Tip adds an additional Utility Dimension to the Tool allowing it to also be used as a Flat-Blade Screwdriver if needed. 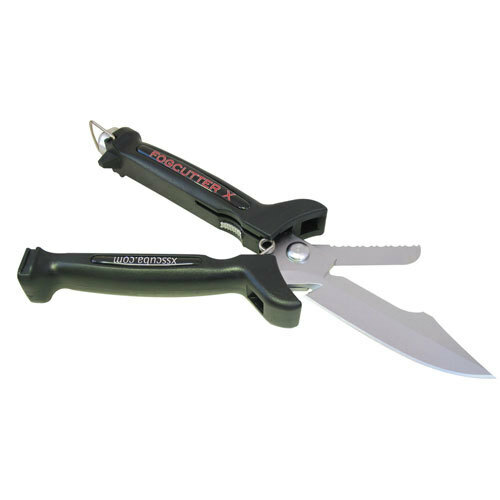 The Knife Blade is a Straight Edge Design and is equipped with a Line Cutter with the Back of the Scissor Blade incorporating a Serrated Edge. 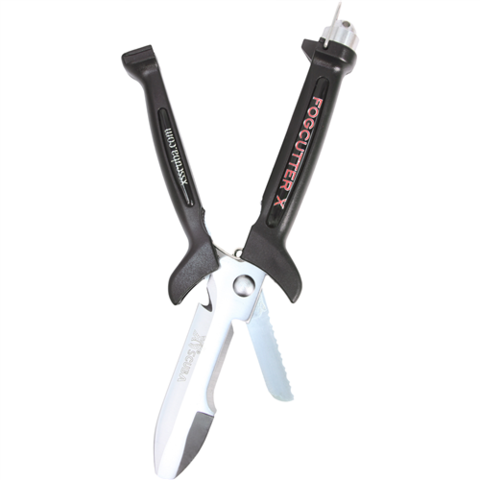 Knife comes equipped with an Easy-Release Positive-Locking Sheath and Depth Compensating Rubber Leg Straps with Squeeze Style" Quick-Release Buckles for easy Donning and Doffing.